A task or job that is simple or pleasurable to finish; something that requires little effort; simple. Some things are easier to do than others. When something requires little effort, a person may use idioms like this to describe just how easy it is to do. 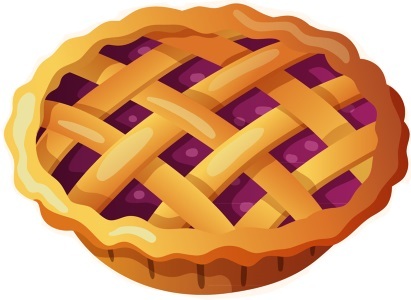 Example: I did my homework, and it was as easy as pie. I could go for a slice of pie right about now. This phrase may come from the pleasantness and ease when it comes to eating a pie. Another expression similar to this one is ‘a piece of cake,’ both expressions share the same meaning. Thus this idiom goes back to at least the late 19th century. Instead of cooking myself a burrito for lunch, I’ll just have a bowl of cereal since it’s easy as pie to make. Janice was once afraid of water because of not knowing how to swim, but after a few swimming lessons, it’s now as easy as pie for her to get into the water and swim. Note: The origins for many common idioms and phrases are unclear. Thus, when that happens, I’ll usually just list some of the popular or plausible theories that exist for how a phrase may have originated. Or, if not that, then I’ll try to find the earliest known written quote of the saying. Quotes will often be taken from old books, newspapers, poems, plays. These are to give an idea on how far back in history the particular expression goes. However, do not assume that if I, for example, quote a newspaper from 1852, that the idiom originates from that time. Indeed, since the expression is already being used by the newspaper, then it’s probably already a well established expression, and is thus older.